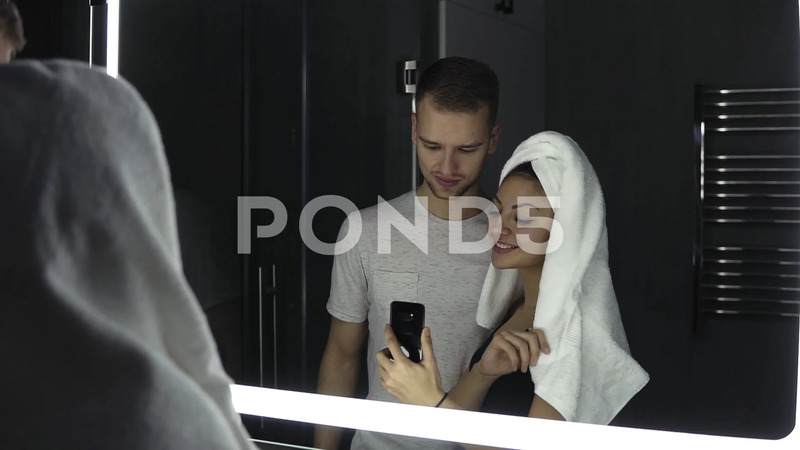 Description: Man and woman in the bathroom photographed themselves in the mirror. Woman with white bath towel on her head. Dark coloured bathroom.